Well.. as you know, the blogosphere often pulls together and we often do things as part of a bloggy initiative. Here the wonderful Inspired by Family Magazine, came up with the idea to get a number of blogs together and write a series on Gratitude. As we do not have Thanksgiving here in the UK, I think it is lovely to be involved and spend sometime thinking about what we are grateful about! I am grateful for my family. I am lucky to have a very lovely and supportive husband, who not only provides for our family, but encourages my “hobby” of blogging, is proud of what I do and supports me wholeheartedly. He also likes to cook, which is a bonus. I am grateful that I have to gorgeous children. They make me so happy – I could gush about them all day, but I won’t, I think you know how much I love them. I am grateful for my “the Grandparents”. They are kind, helpful and supportive and I am grateful my children have them in their lives. I am grateful that my husband has a good job. And that I had a good job before having children. Which means that we live in a nice area in a comfortable home. I know we are lucky. I am grateful that I have the opportunity to be a “Stay At Home Mum” (linked to the comment above), which means I get to see my children grow daily and that I know about all their little adventures and experiences. I am also grateful that being a SAHM, gives me the opportunity to have a “hobby” (that is blogging and Red Ted Art) that is slowly growing into a business. I am grateful that we all have good health and that we do not have the worries and struggles that come with someone that you love being ill. I asked the girl, what she was grateful for…. 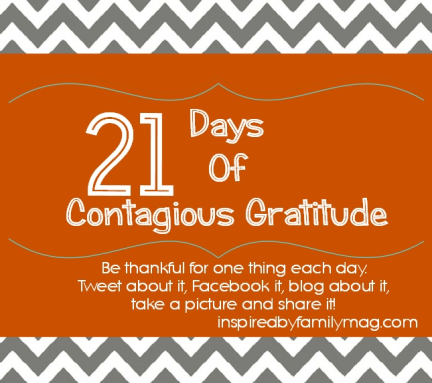 Here are the other blog taking part and read all about their Gratitude Posts. 1 Becky Spence Shares her awesome ABC of Thanksgiving with free printables for the little ones. 4 Stacy Teet –Teachers don’t just teach our children…. 14 Susan Case Teaching Kids to Express Kindness & Gratitude to SOLDIERS! Kristi Delp – Every Perfect Give is From Above– Thankful for my girls! isn’t it lovely when our life is so blessed! so encouraging! Yes, very blessed indeed!! I am just hoping it will stay this way!